Sensory sacks, also called “spatial socks” or “body sox”, are a popular form of therapy for those with Sensory Processing Disorder and Autism. This easily sewn stretchy lycra sack helps develop spatial awareness, as the wearer is able to feel the fabric’s resistance against his or her body. 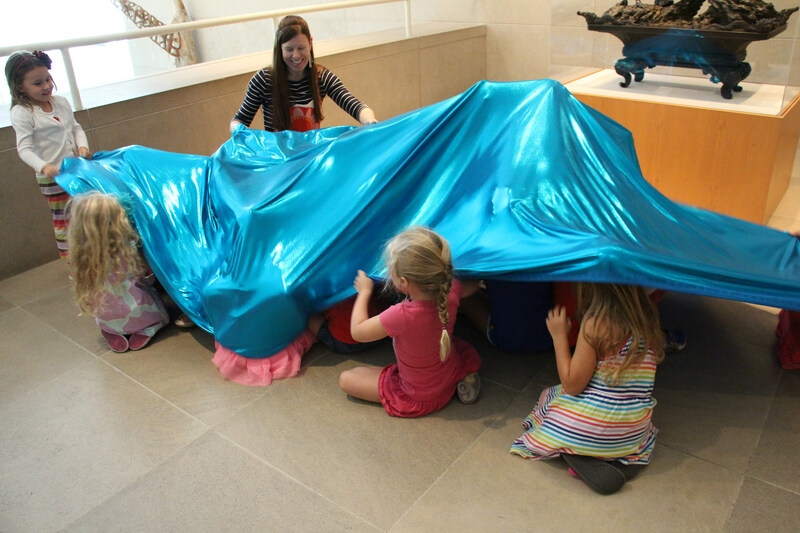 Here at the DMA, we experimented with using sensory sacks as a tool to learn about other bodies in space– sculptures! 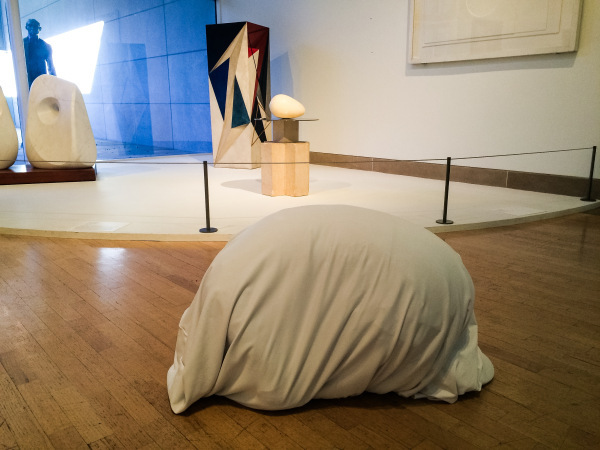 Whitney Sirois acts out Brancusi’s marble egg. McDermott Graduate Intern for American Art, Erin Pinon, poses on the second floor landing. 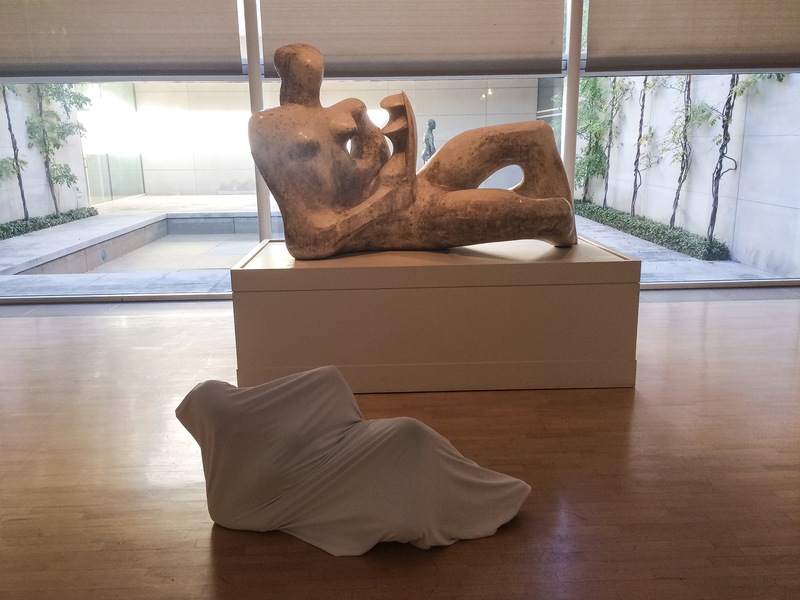 Emily Wiskera learns to empathize with modern sculpture. 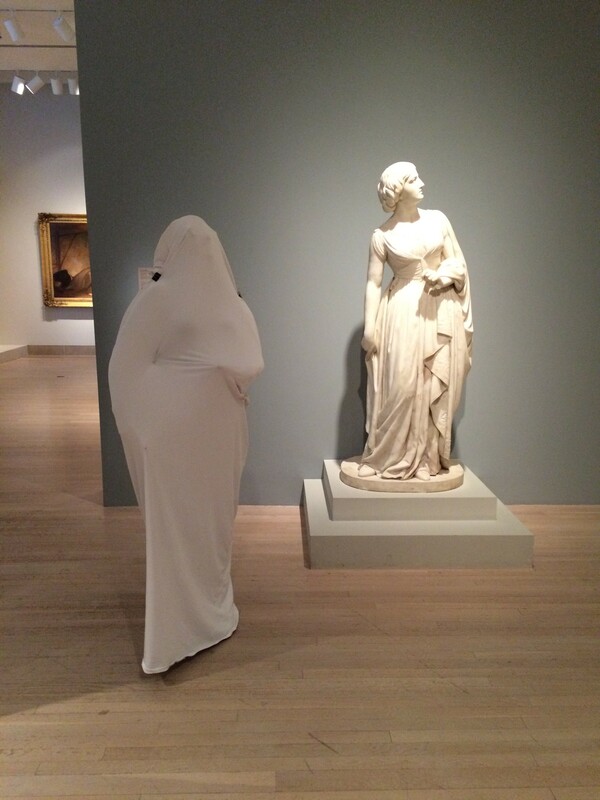 Anne Whitney, Lady Godiva, c. 1861-1864, Dallas Museum of Art, gift of Dr. Alessandra Comini in memory of Dr. Eleanor Tufts, who discovered the Massachusetts-backyard whereabouts of this long-forgotten statue and brought it to Dallas. Constantin Brancusi, Beginning of the World, c. 1920, Dallas Museum of Art, Foundation for the Arts Collection, gift of Mr. and Mrs. James H. Clark © Artists Rights Society (ARS), New York / ADAGP, Paris. 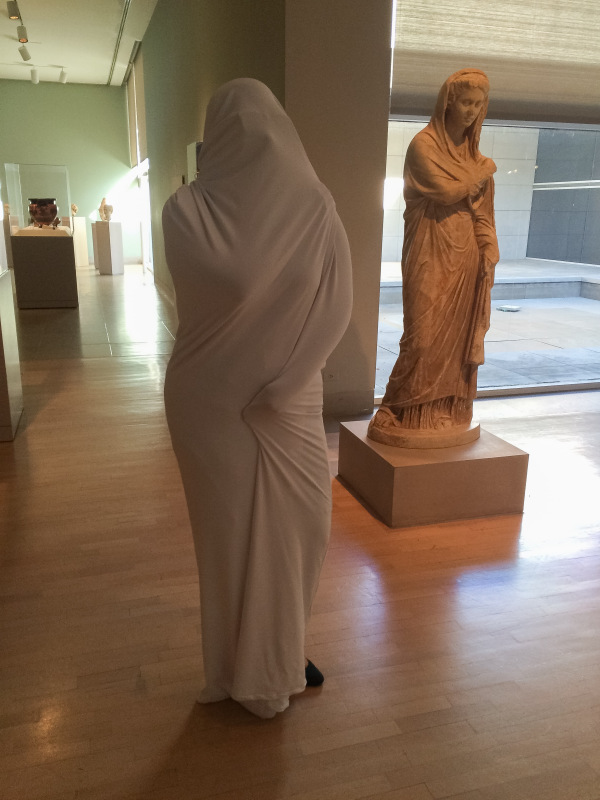 Figure of a woman, Roman Empire, 2nd century A. D., Dallas Museum of Art, gift of Mr. and Mrs. Cecil H. Green. Surrealism is typically regarded as an art movement dedicated to personal exploration by tapping into a person’s subconscious. This was certainly an important component, but Surrealism was also focused on group activity, ranging from the creation of Surrealist journals, to collectively written statements, to unfettered discovery through group play and games. Perhaps one of the greatest benefits for educators using Surrealist games in the classroom is how the activities offer a set of tools to get learners conceptualizing critically and playing with images, words, and ideas where the purpose is surprise, delight, and creativity. For the Surrealists, the fact that games had rules or instructions that mandated how they were played, but the end-goal was itself unstructured, illogical, and messy, was representative of their own world-view. 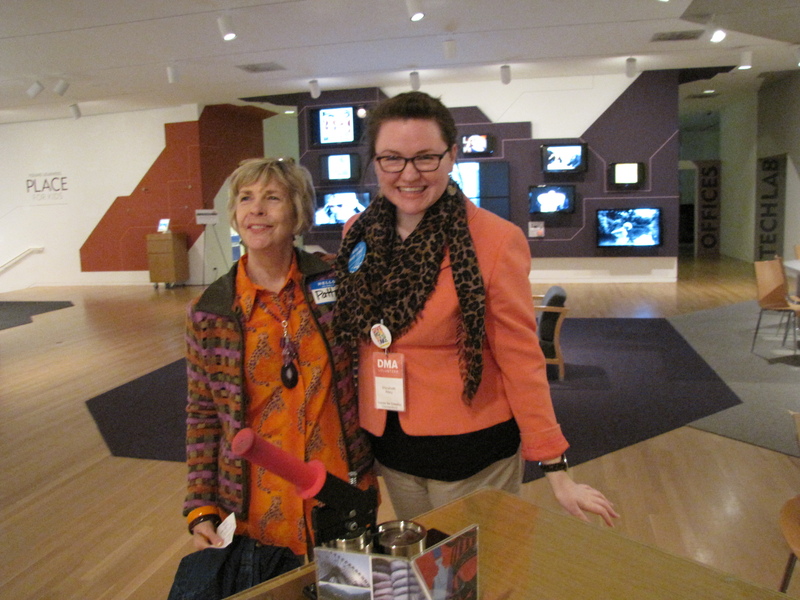 Let’s briefly explore two games the Surrealists used in group settings that might be fun to apply to classrooms and museum teaching. My descriptions of these games has been adapted from Alastair Brotchie and Mel Gooding’s delightful Book of Surrealist Games (Shambhala Redstone Editions, 1995). 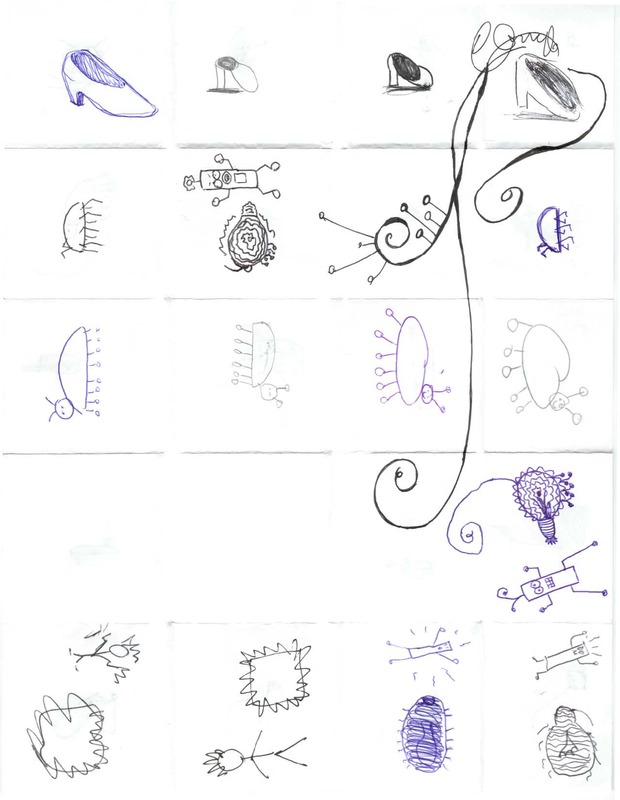 Perhaps the best known Surrealist drawing game, the Exquisite Corpse was actually born out of a writing activity. 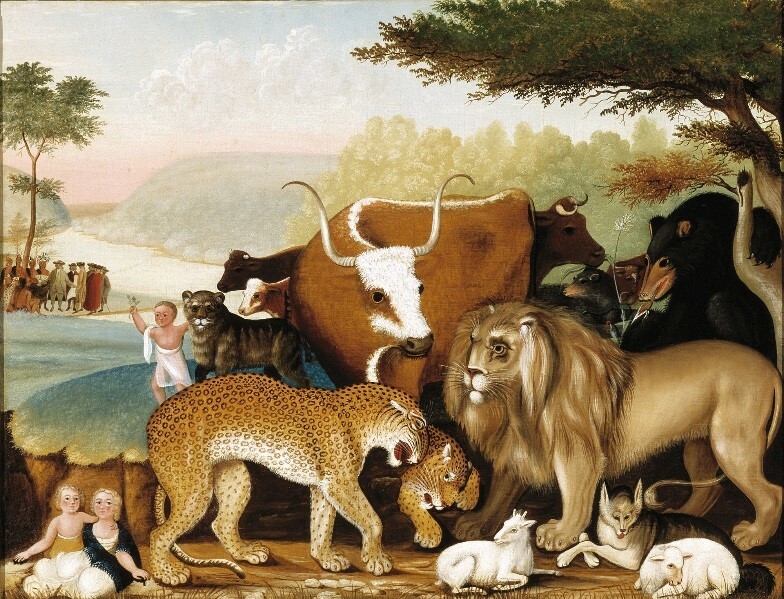 Surrealism’s roots are in writing and poetry; its earliest practitioners and founders were all writers. Games like the Exquisite Corpse (the name is taken from the poetic results of the first game played) were later modified into a visual variant. Group size: Typically three-to-four players, or any size up to how easily one sheet of paper can be folded. Instructions: A piece of paper is folded so that the number of creased sections matches the number of players, usually horizontally or in quarters for four players. She then extends some of her drawn lines across the fold into the next blank section, and refolds the paper so only the second section is exposed, and the next player cannot see what she drew in the first section. The re-folded sheet is passed to the second player, who bases his drawing on the few exposed lines provided. After completing his section, he also extends a few of the bottom-most lines across the fold, refolds to hide his portion and expose the next, and passes to the next player. This process continues until all players have a turn to draw a section, when it is unveiled and unplanned, group-designed drawing is revealed. An added variation involves the last player handing the folded drawing to the first player again, who must conceive of a title before the full drawing is shown. Outcome: An example of an Exquisite Corpse can be seen above, created by André Breton, Greta Knutson, and Valentine Hugo, where the “head” is a florid, calligraphic design, the “torso” is an hourglass, and the “legs” are heart-footed compasses. The surprising and seemingly unnatural conjunctions of objects in these drawings are similar to the visual juxtapositions presented in many Surrealists’ work. 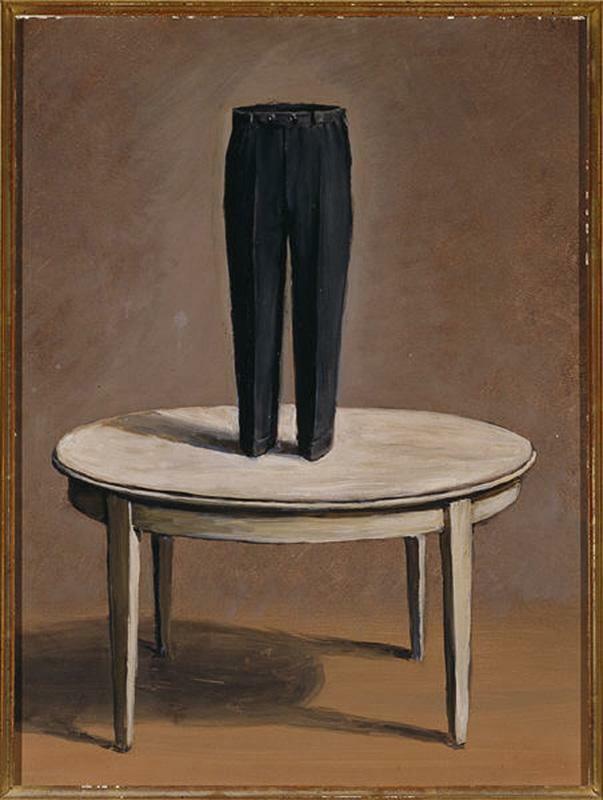 Examples include the René Magritte’s Persian Letters, and Surrealist objects, such the one below by Sonia Mossé, both in the DMA’s collection. This is essentially the traditional “whisper” game of Telephone. The group sits in a circle, and the first person conceives of a phrase, then whispers it to her neighbor. The second person whispers the same sentence to his neighbor, and so on, through the entire group. By the end, the beginning and ending phrases are compared. While not practiced by the Surrealists, I have used a fun visual variant of this game in teaching. Group Size: Best suited for groups between ten and thirty players. Present the folded up paper so only one folded quadrant is visible, then have the first player draw a small simple, linear image. She then presents the drawing to the next player, who looks at it, folds the paper over to the next blank quadrant, then redraws the image from memory. He then passes his version of the drawing on, and the process is repeated until the last player finishes her drawing. Once finished, unfold the entire sheet, and marvel at the evolution of the image as it transforms from one recognizable thing into something else altogether! Outcome: Just as the results of the Telephone game are remarkable for the dissimilarity between starting and ending phrases, the results of this visual variant are similarly startling, but the sheet also becomes a visual record of the transformation of starting image into something else entirely. 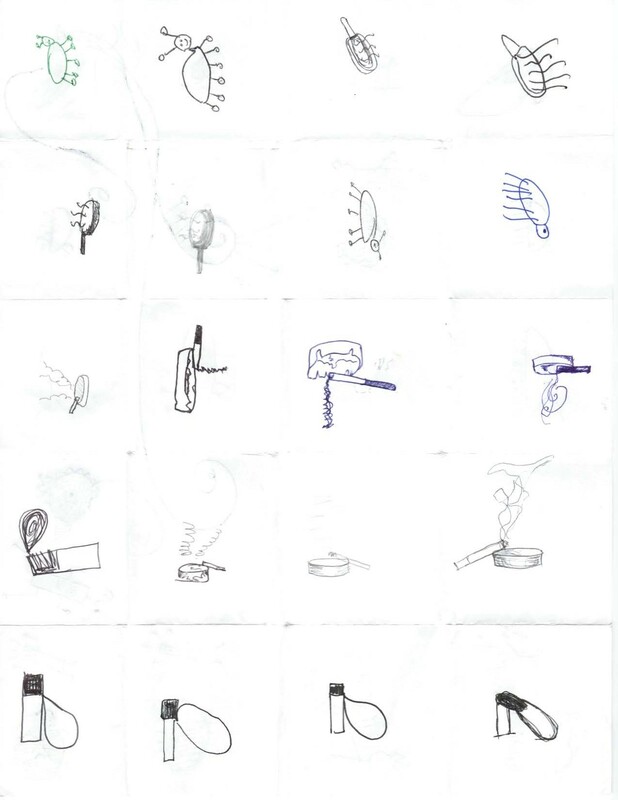 In the example below completed during a class I taught in 2009, the starting image of a shoe transforms multiple times, into a cigarette and ashtray, a frying pan, a robot, and a bug. Have you tried using Surrealist games like these in your teaching or for fun? Please leave your experiences and ideas in the comments below! 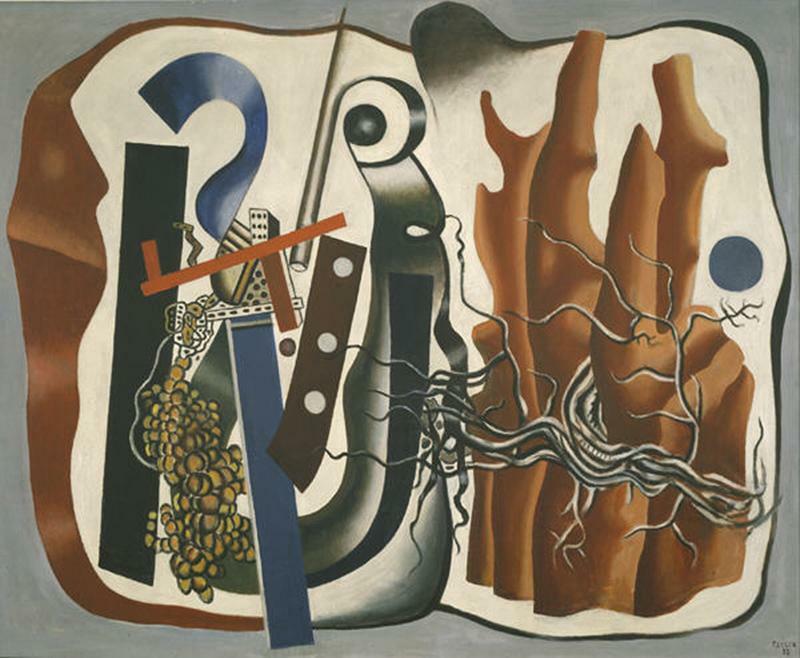 Ferdinand Léger, Composition with Tree Trunks, oil on canvas, 1933, Dallas Museum of Art, Foundation for the Arts Collection, gift of the James H. and Lillian Clark Foundation. 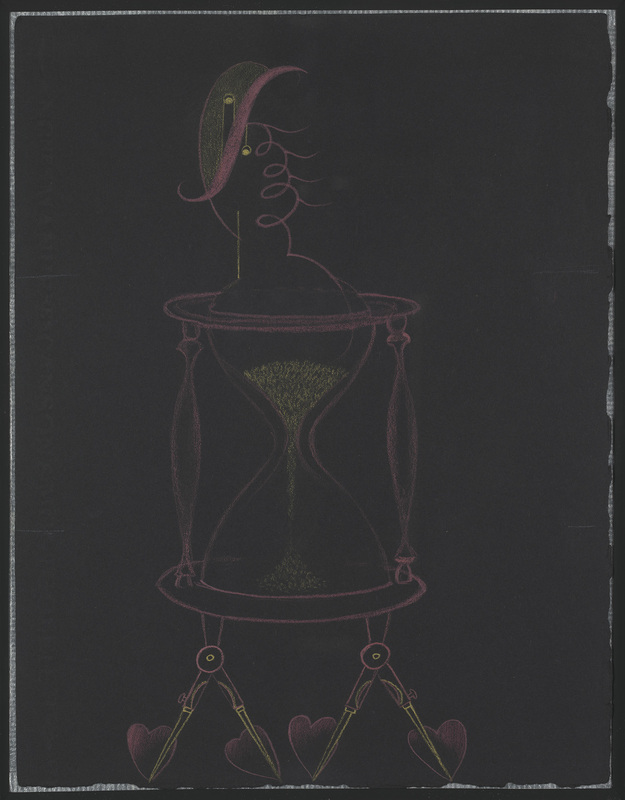 André Breton, Greta Knutson, Valentine Hugo, Untitled (Exquisite Corpse), Colored pencil on black paper, c. 1929, Private Collection. René Magritte, Persian Letters, oil on canvas, 1958, Dallas Museum of Art, gift of J.B. Adoue, III. 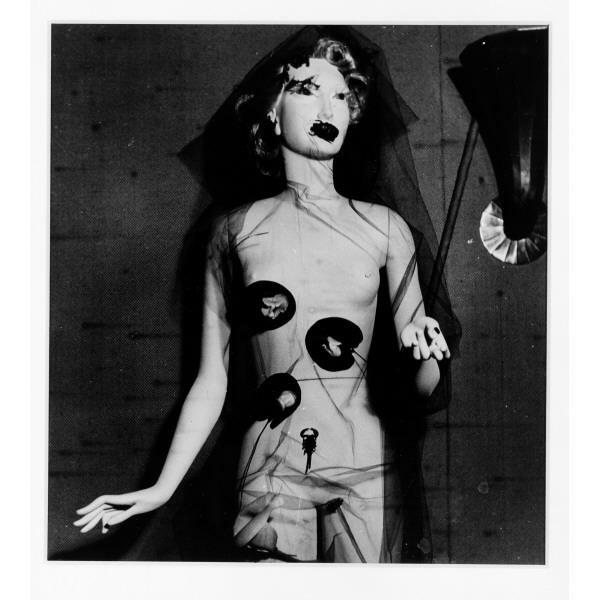 Gaston Paris, Untitled (Mannequin by Sonia Mossé), Gelatin silver print, 1938, Dallas Museum of Art, gift of the Junior Associates and an anonymous donor. Brotchie, Alastair and Mel Gooding. A Book of Surrealist Games. Boston & London: Shambhala Redstone Editions, 1995. Thursday evening the Center for Creative Connections was filled with thirty playful, divergent thinkers who were asked to have fun and break rules. These adults were attending a once a month program called Think Creatively taught by Dr. Magdalena Grohman and guest performer Harold Steward from the South Dallas Cultural Center. During one portion of the evening, visitors engaged in playful theatrical activities that were developed from Steward’s theatrical background and knowledge of the practice known as Theater of the Oppressed. During the 1970’s, Brazilian activist and actor Augusto Boal was the driving force for the creation of this theatrical practice. The goal of Boal was to use theater as a way to promote social change. Boal took inspiration from educator and theorist Paulo Freire, who is well known for his work Pedagogy of the Oppressed. In this revolutionary text, Freire argues that education should allow those who are oppressed to recapture their sense of humanity and overcome their sense of oppression. However, that oppressed person must play an active role in their own freedom. Inspired by the critical pedagogy of Freire, Boal believed that through the dialogue and interaction between actor and audience, people could free themselves; the actors and audience become active explorers and transformers of their own realities with the help of a facilitator. Theater of the Oppressed is about dialogue, playing and learning with one another to create change. As I watched Steward act as the facilitator, I was encouraged by the freedom that the participants seemed to gain with each passing moment. He had the visitors stand back to back; he then called out directions for each of them to follow. Placing one’s head to another’s hip, or positioning a knee to an elbow was really a sight to see. After this warm-up, Steward and I demonstrated an activity together. I was directed to make a movement and was not allowed to stop moving until Harold said, “What are you doing, Amanda?” I was not allowed to respond with what my action was, but instead I had to say what I wanted him to act out. I called out the action, “Running a marathon,” and he pretended he was running the race of a lifetime. 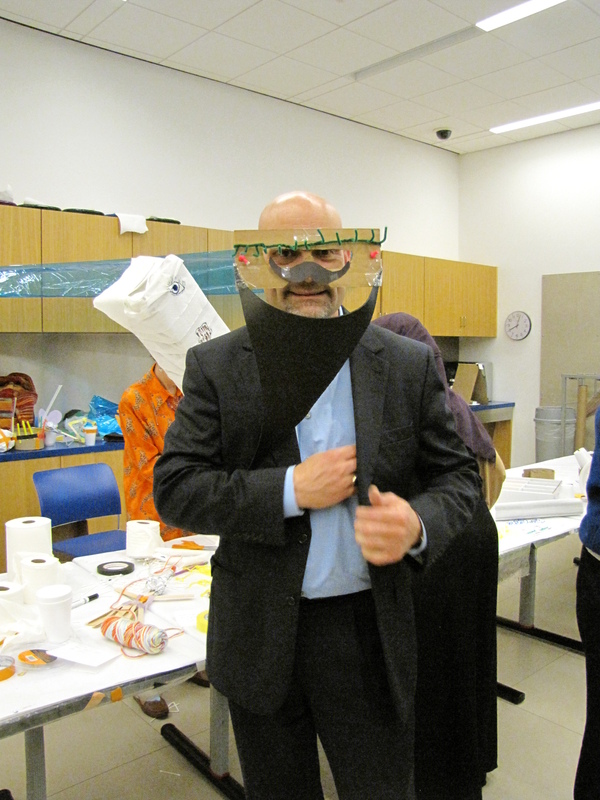 After, the visitors were roaring in laughter and running around the room, engaging in this activity. Steward had them stop and then broke all the rules that he just taught them. 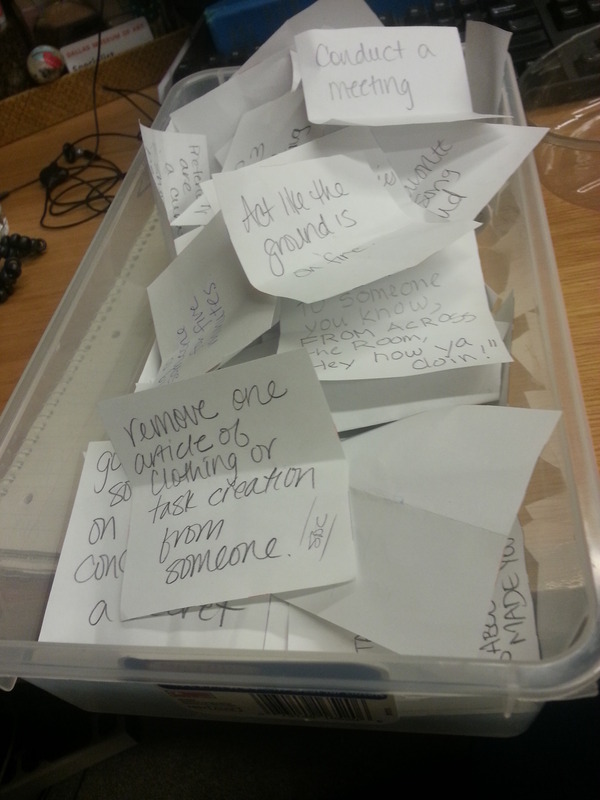 The pairs had to create their own guidelines and interpretations to the last activity. One pair decided that they were only allowed to sing to each other, another group determined that all of their activities to act out had to be represented in mime. The visitors responded to the process and indicated that participating in these Theater of the Oppressed exercises was difficult for them at first because they had to overcome their initial hesitations to move, play, and be free without fear—but once they let go of all that was holding them back (or oppressing them), they were able to experience liberation and freedom from restraint. 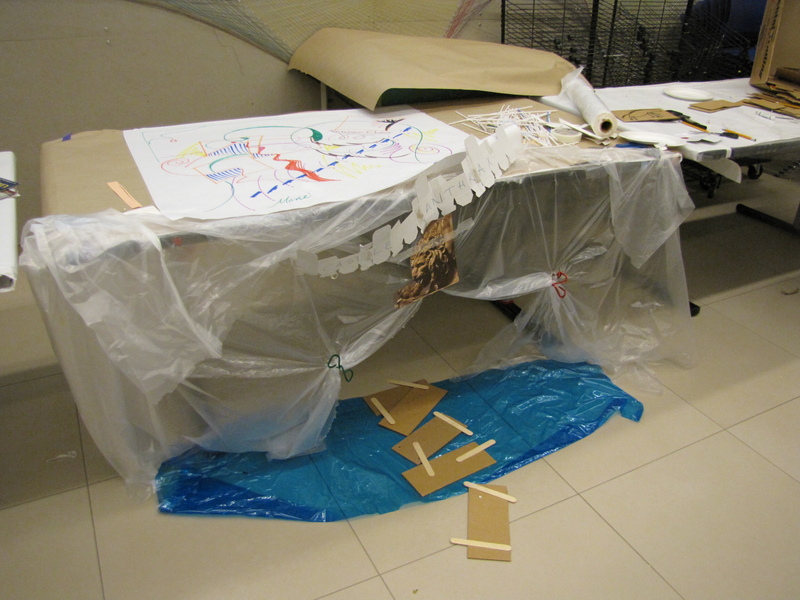 Here is another Theater of the Oppressed activity created by Augusto Boal that you can try with your friends! The group will stand in a circle. The facilitator introduces themselves and creates a physical gesture. The whole group repeats the name and gesture. The process occurs until everyone has said their own name and preformed a gesture. Then, this process is repeated but without the name. Anyone who wishes takes a step forward and the rest of the group must say the name and preform the gesture. I hope you’ll join us in C3 soon! 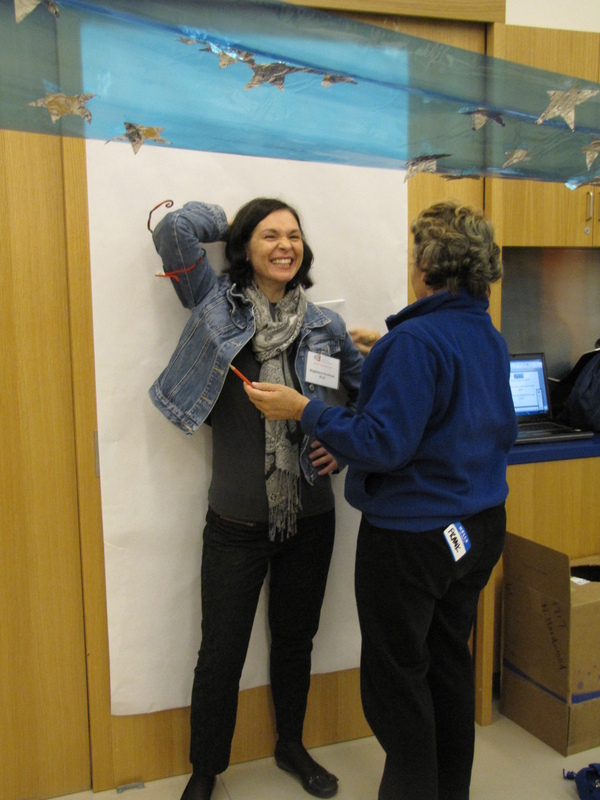 Last Friday, Go van Gogh staff led a “play” workshop for our volunteers. 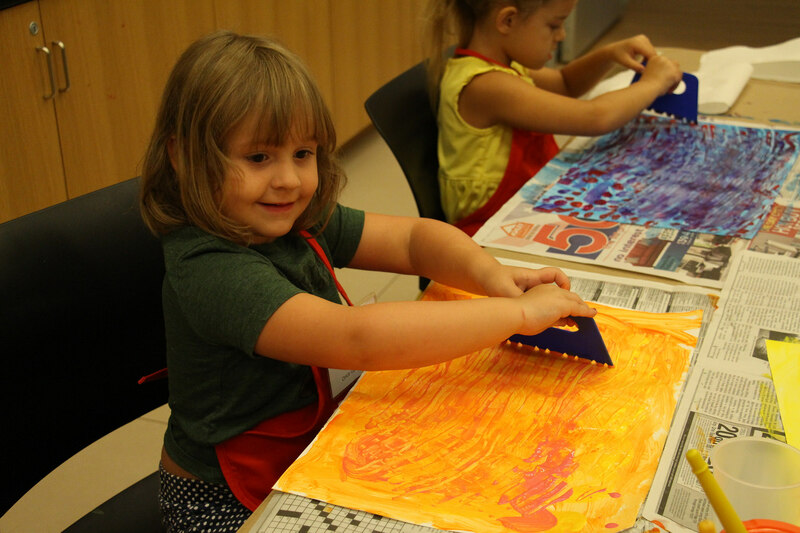 This session led volunteers into the galleries to discuss and interact with works of art in a creative and fun way. 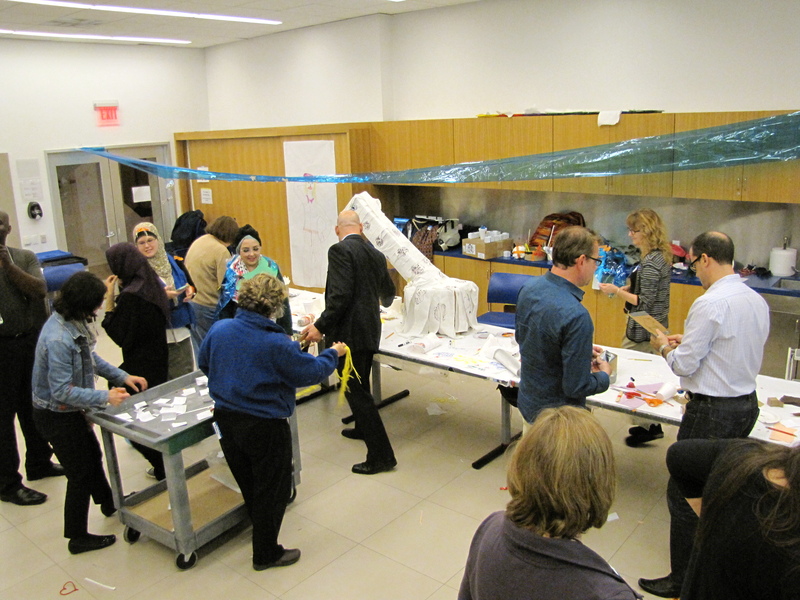 Volunteers posed as the objects, created a yarn painting similar to Jackson Pollock’s Cathedral, as well as experience several discussions led in Spanish. A former McDermott Intern, Leticia Salinas, who facilitated the discussions, demonstrated various hand gestures and other techniques that could be utilized when facilitating programs with students who speak languages other than English. The fun did not stop there! 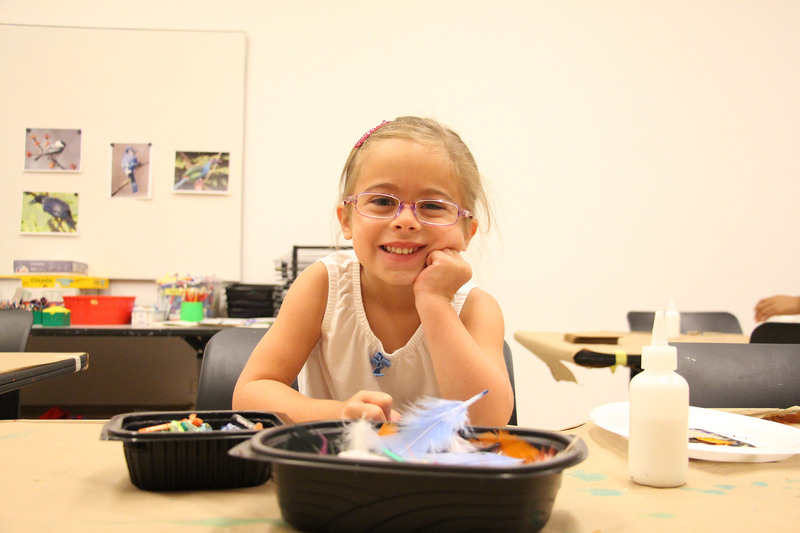 Volunteers used materials from the space bar in the Center for Creative Connections to create art, then continued their play session in the Tech Lab. 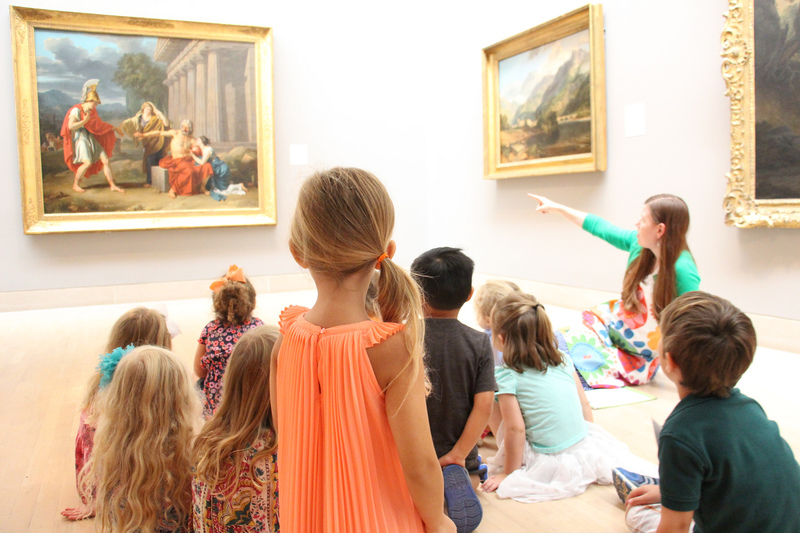 Go van Gogh is an outreach program that brings the Dallas Museum of Art to 1st through 6th grade students in schools throughout North Texas. 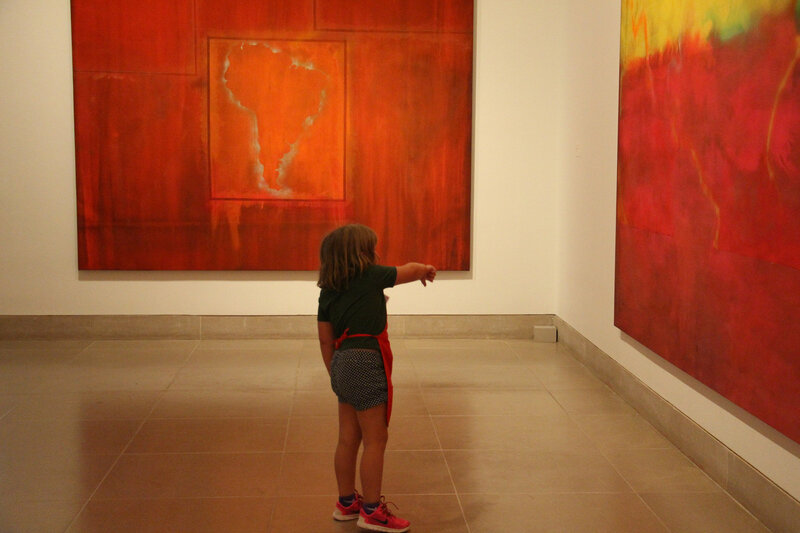 Allowing the volunteers to play was a unique approach of seeing the artworks in a new way and re-igniting the volunteers’ energy, enthusiam, and passion for teaching. 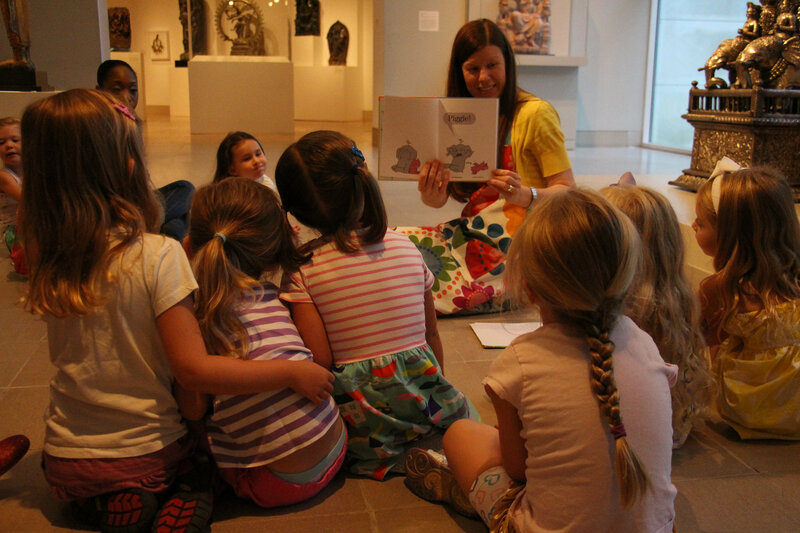 A couple of years ago, the education staff at the DMA decided to form a monthly reading group to keep up with the many books and articles that relate to teaching and learning, works of art, and art museums. Since then, we’ve met once a month to discuss a reading over lunch. Here are a few of my favorite books from which we’ve read. I hope that you find something interesting to add to your summer reading list!